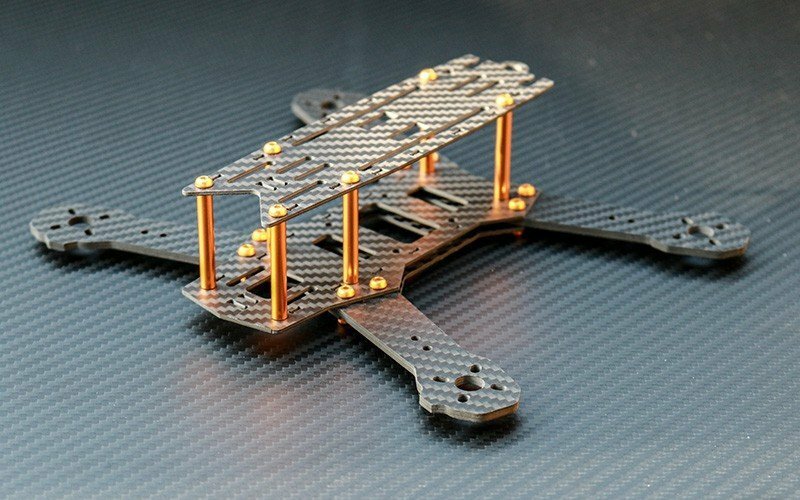 The composite material carbon is applied in numerous fields, for example in the car racing sport, aerospace or RC model making. 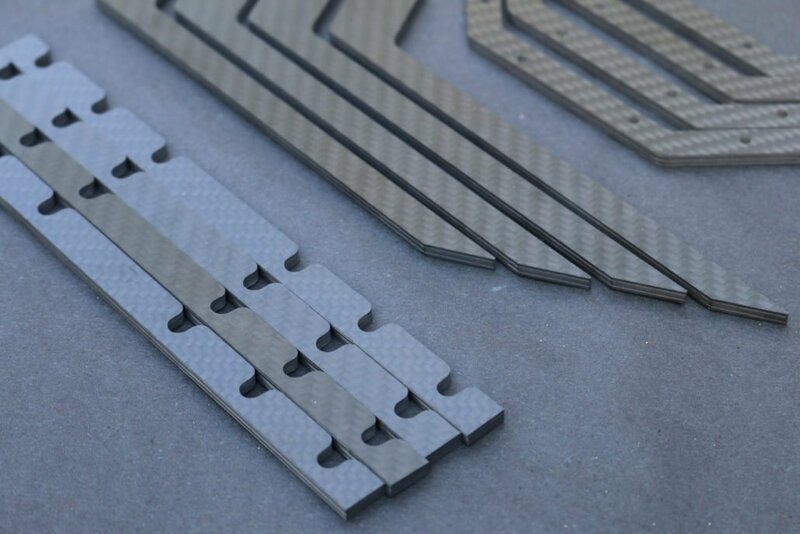 Carbon fiber reinforced plastic is pervaded by parallel arranged filaments in epoxy resin. 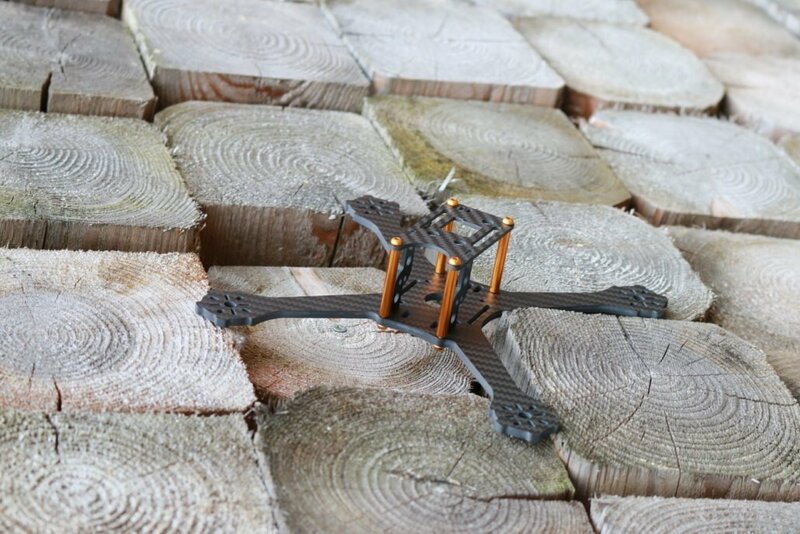 The arrangement of the filaments gives the hardened resin a high stiffness at little weight. 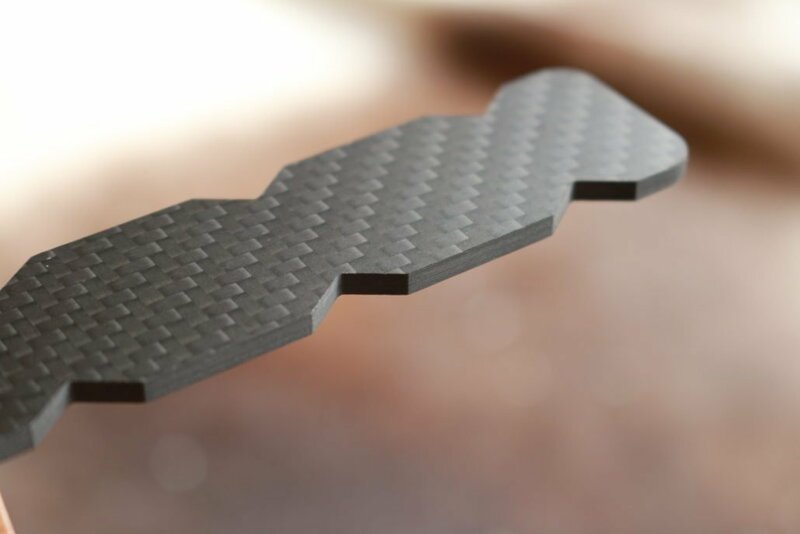 Carbon is commonly used in areas where light construction materials are required because of the excellent strength-to-weight ratio of the composite material at high stiffness. 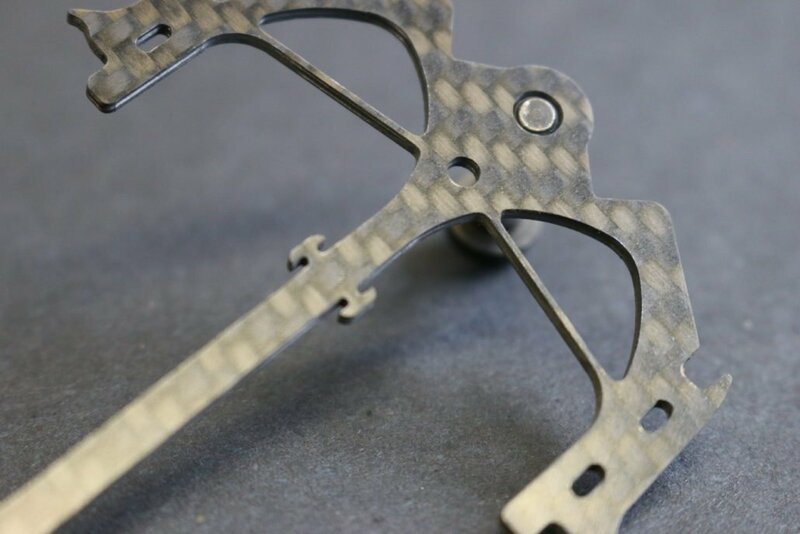 Using carbon fibers is crucial for making racing cars and planes lighter and faster. 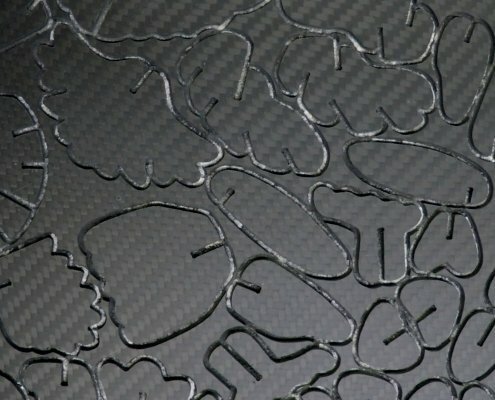 At the same time, carbon resists the big impact of collisions at high speed. 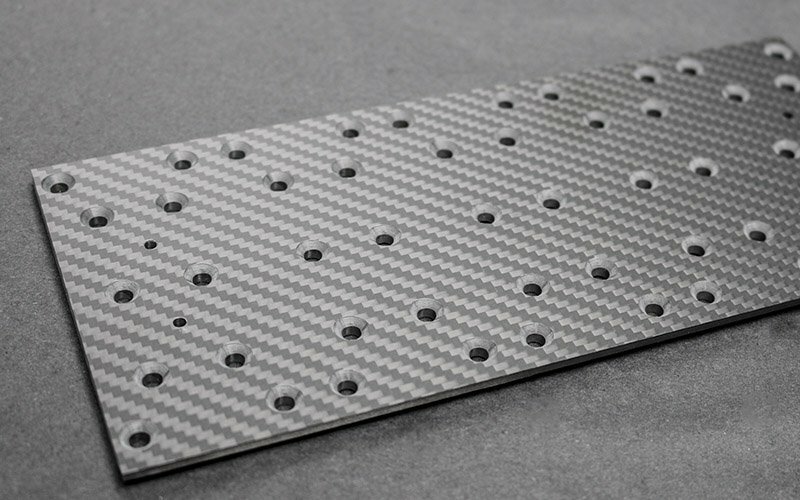 Milled drill holes with counterbores for countersunk head screw in a carbon fiber sheet. 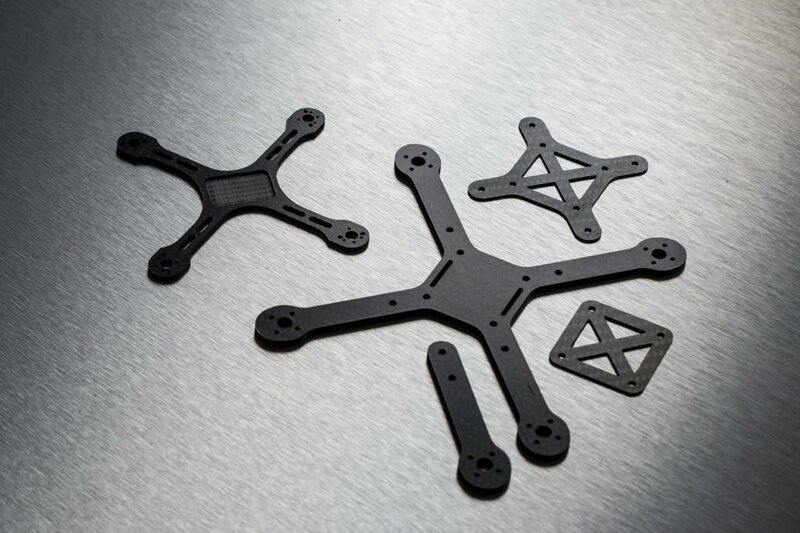 Carbon parts for a flying object model with clean cutting edges, drill holes and cut-outs. 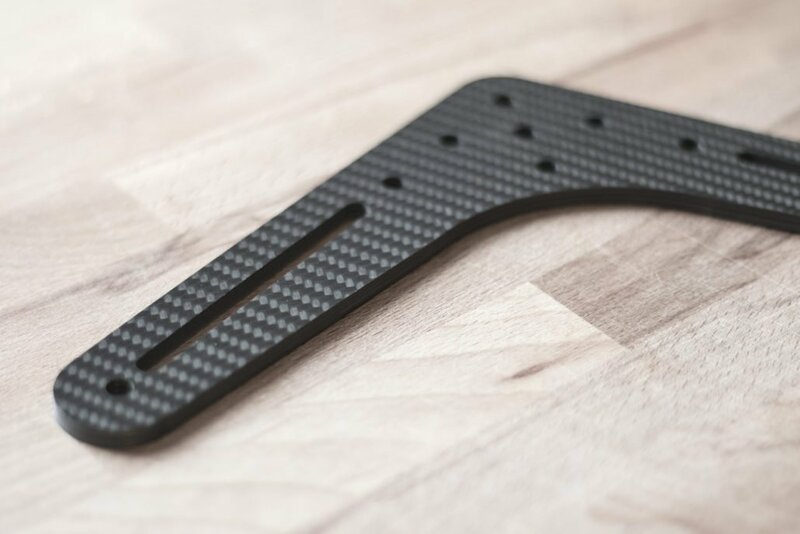 The High-Z engraves letterings in Carbon as well. 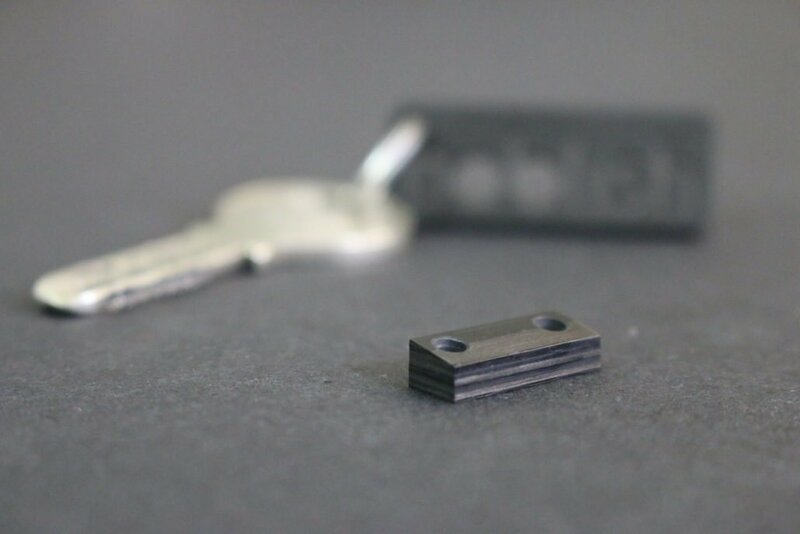 Machining carbon is not possible with conventional tools. 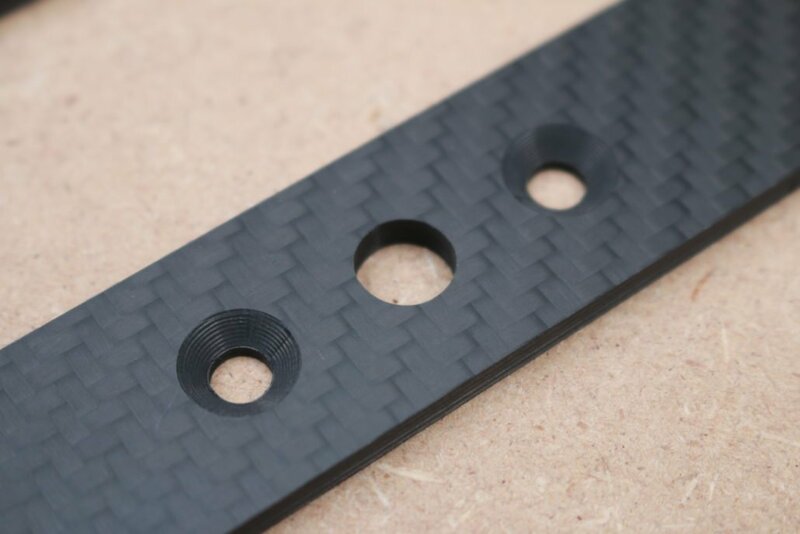 If you want to cut CFRP to size, you get the best results by milling the composite material on a CNC machine. 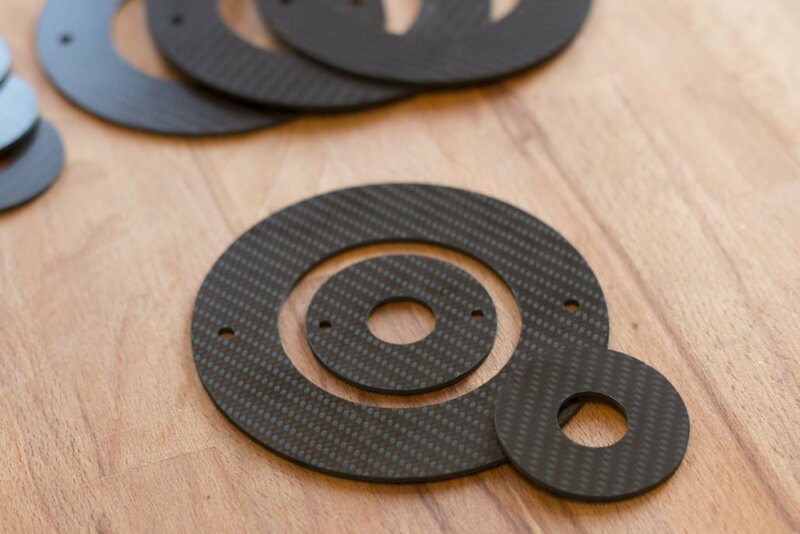 Utilzing a milling tool on the High-Z router you can cut carbon fiber sheets to size, make cut-outs and drill holes with circular milling. 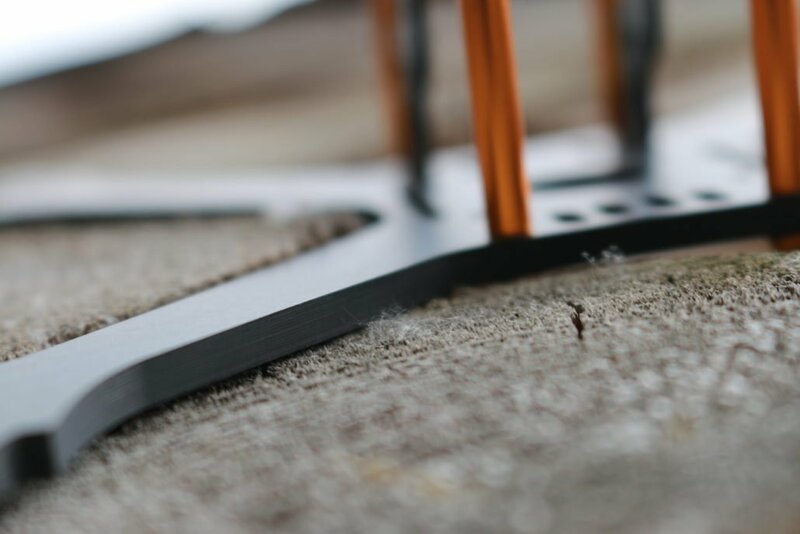 The High-Z router makes precise drill holes with counterbores which you could also make with a drill and a countersink. 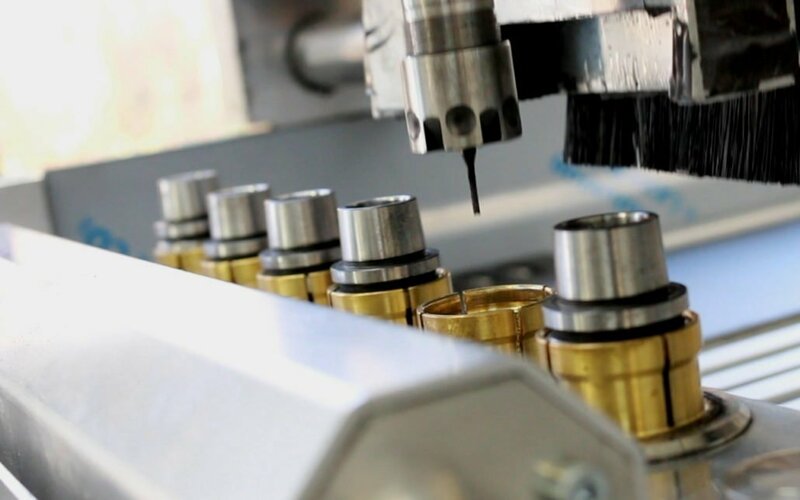 However, it is difficult to drill holes with equal depth and distances. 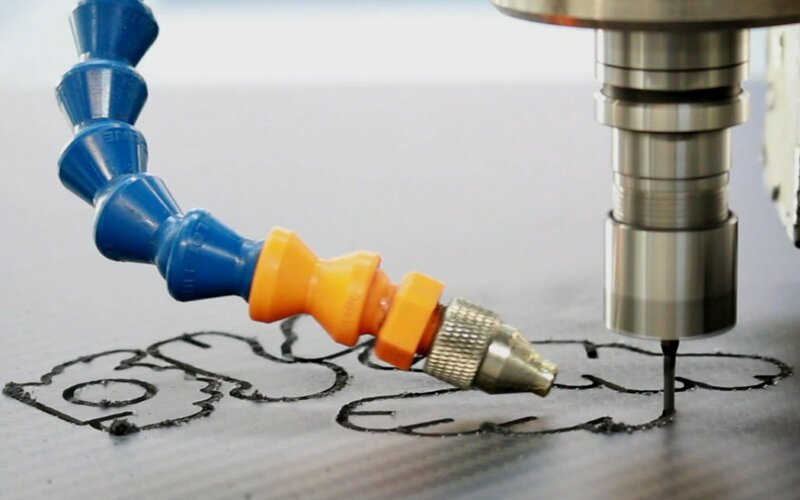 A computer-aided machine can drill the holes faster and more precisely than a manual tool. 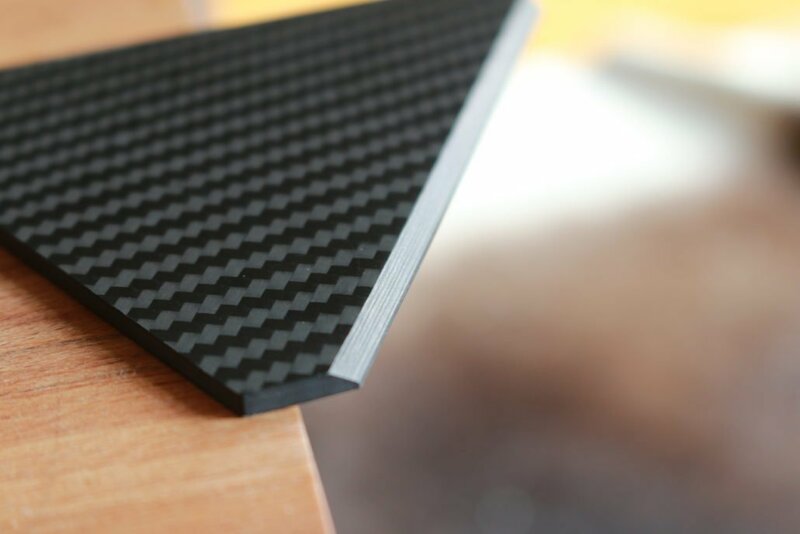 We machined a 1.5 mm thick carbon fiber sheet on a High-Z router. We used a Suhner milling motor and a diamond-toothed milling cutter. Tool: Milling cutter with diamond-toothing. 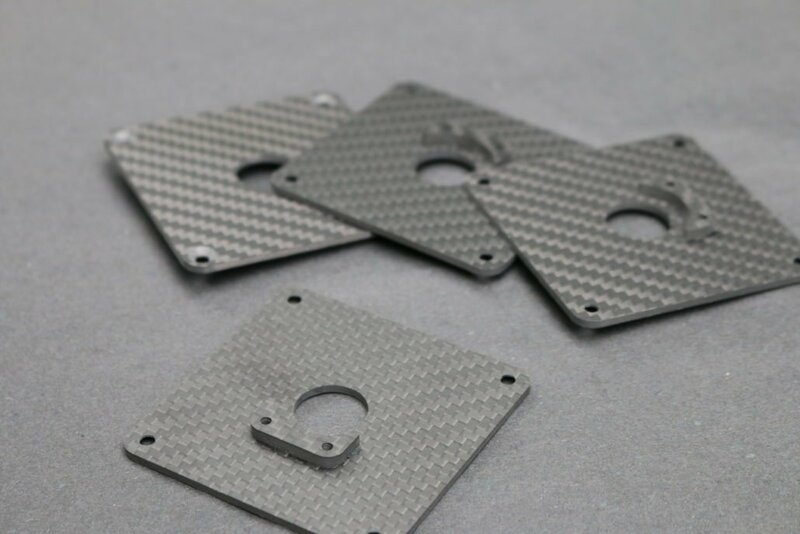 You have to machine carbon with high rotational speed to get clean cutting edges. 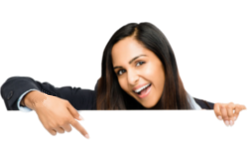 You can set Kress and Suhner miling motors to the highest level right from the beginning. 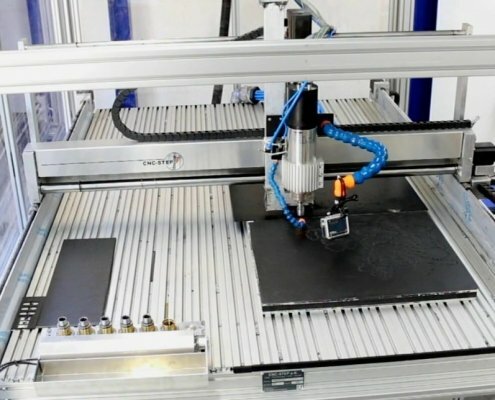 Wearing a dust mask while milling with an open CNC router. Milling carbon in a water bath which binds the dust particles. Using a spray cooling at the milling cutter to bind the dust particles. 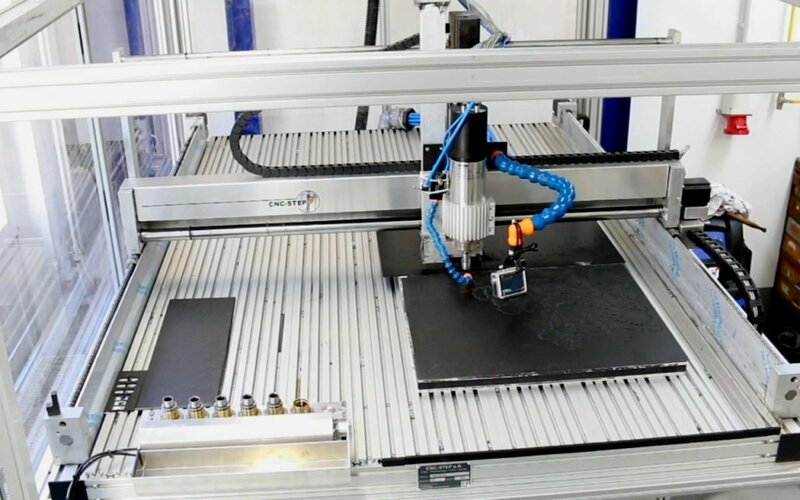 The most comfortable solution is milling carbon with a CNC-router in a housing. 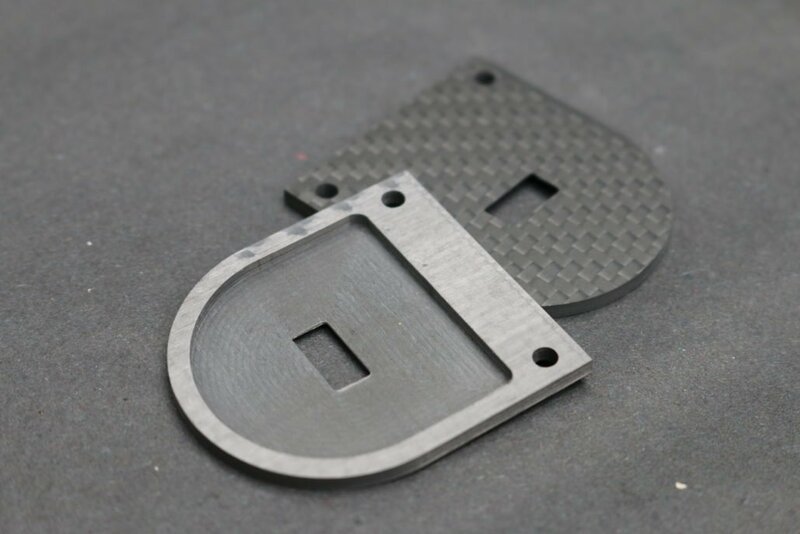 Carbon fiber parts which have critical functions within the whole construction must be cut out accurately to fit. 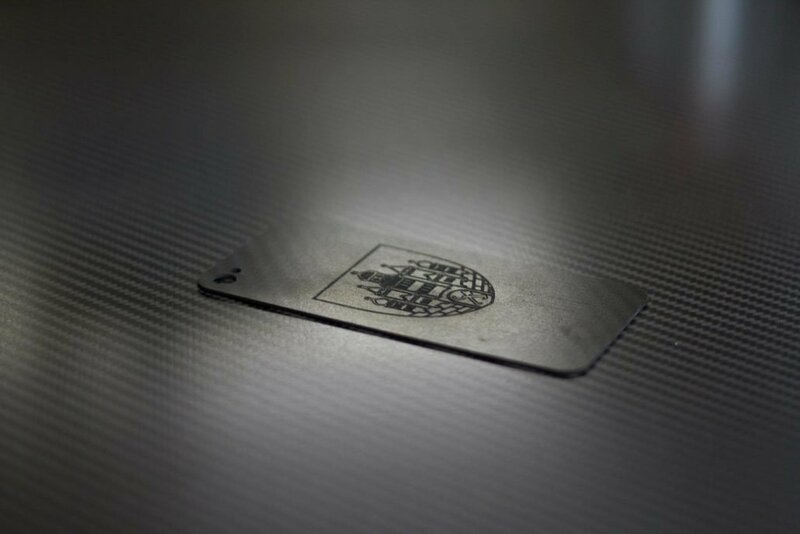 Carbon sheets are expensive because of the costly manufacturing. Wrong cuts and millings should be exceptional cases. 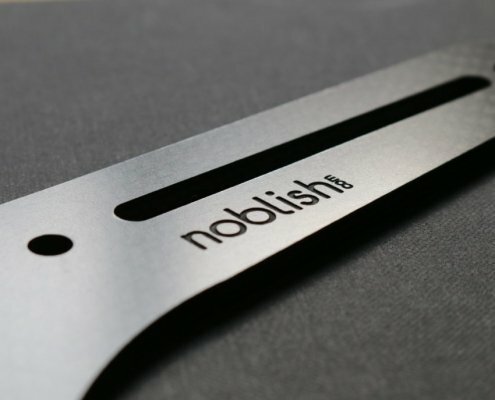 Doing so you get much cleaner cutting edges than using a padsaw. 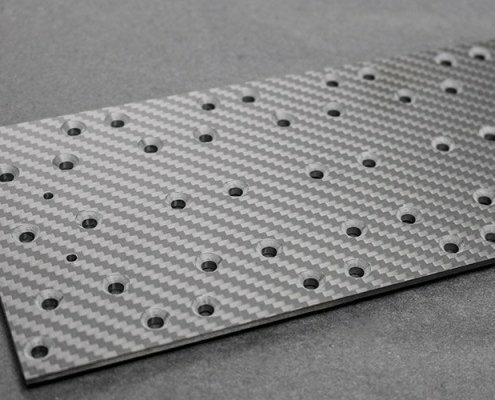 Due to the need for manufacturing functional carbon fiber parts precisely and wasting as few materials as possible, it makes sense to machine carbon sheets on a CNC mill with correctly calculated milling paths. 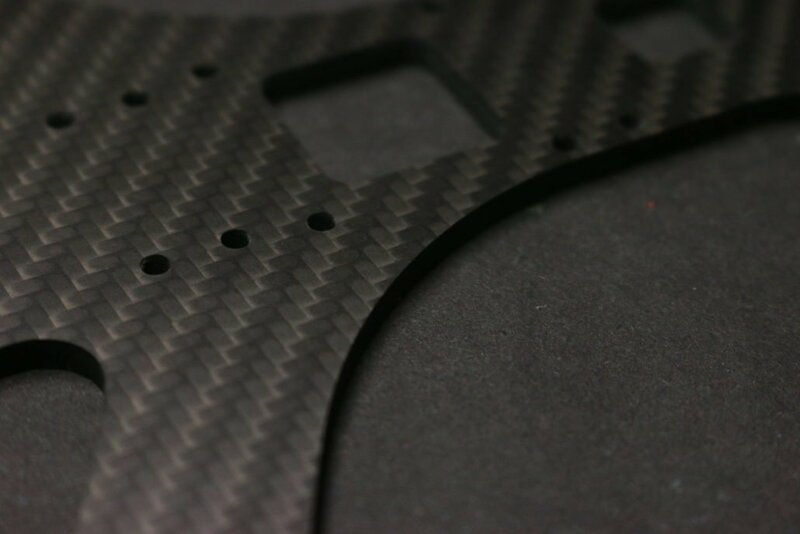 In addition, you can make precise drill holes and cut-outs in the carbon sheet during the same operation. When the shapes to be cut out have roundings, it saves material to mill them out. 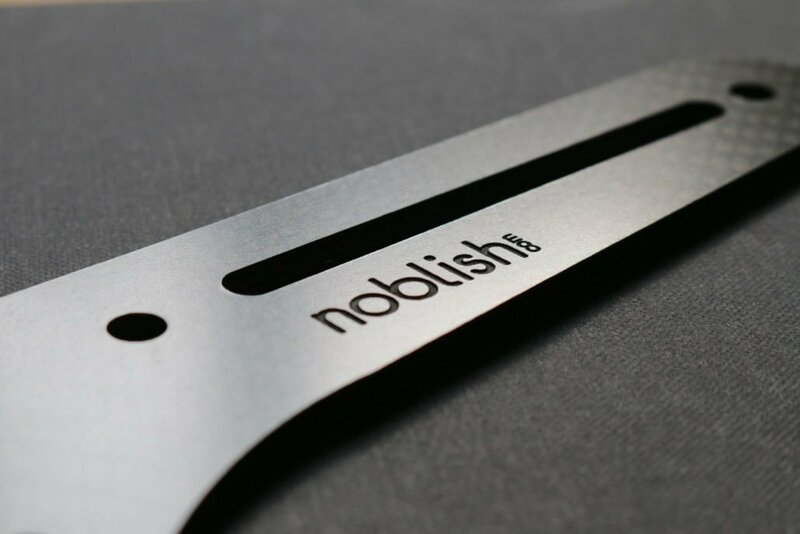 Doing so you get much cleaner cutting edges than using a padsaw. 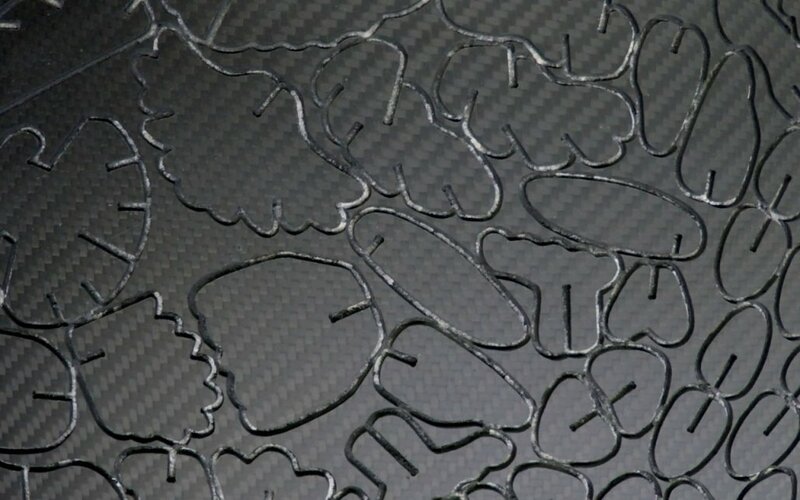 After the cutting out the shapes the carbon parts you can even engrave the material on the same machine. 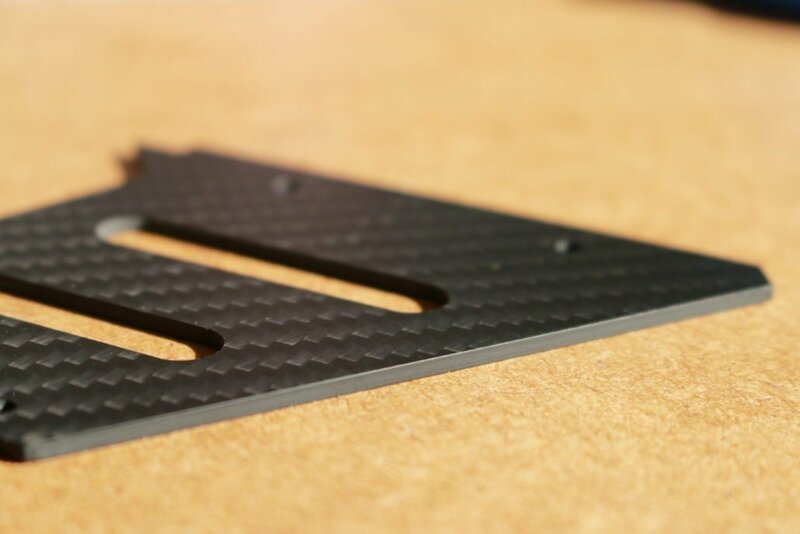 Due to filaments in the epoxy resin carbon fiber sheets are not only exceedingly robust but they shine in a very special way. 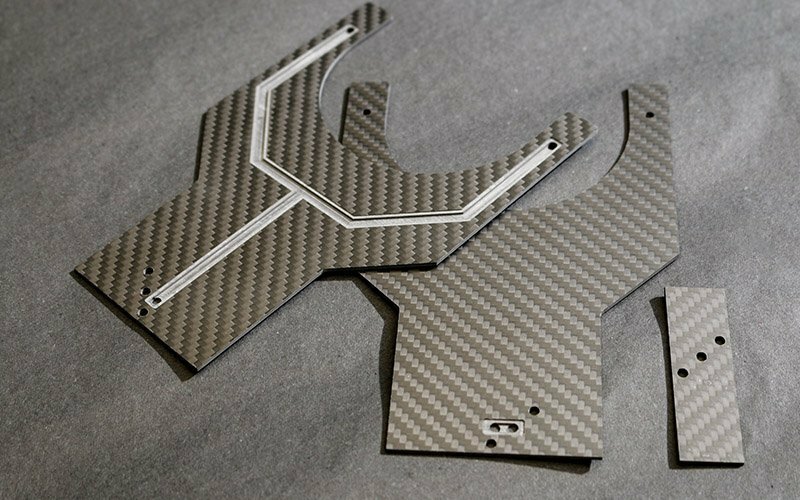 This is why front panels for car interiors or household appliances are made of carbon composite. Thus, even common instrument panels get an enormous upgrading. 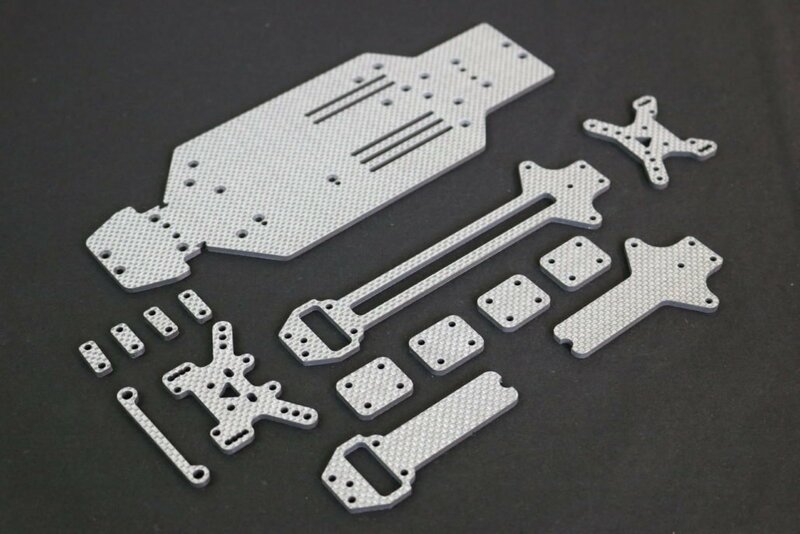 The parts of 3D puzzles are usually made of wood. 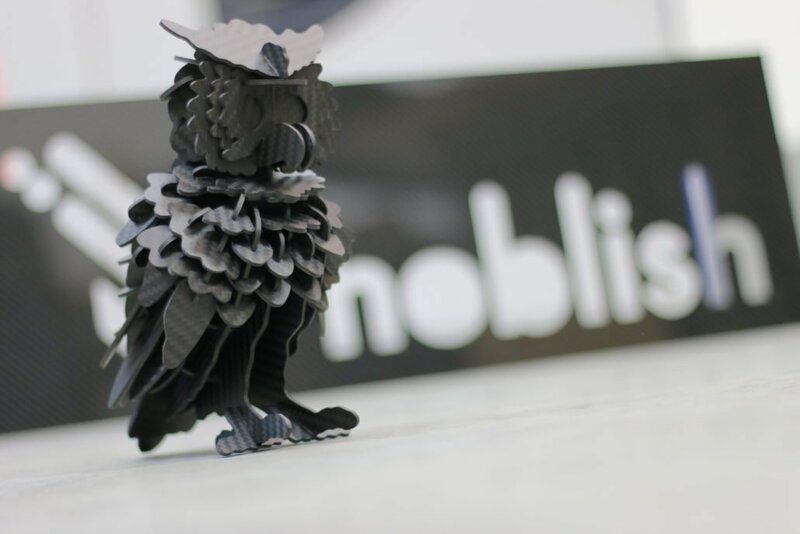 The specialists for carbon fiber from the company Noblish were quite sure that a 3D puzzle can be made of carbon. 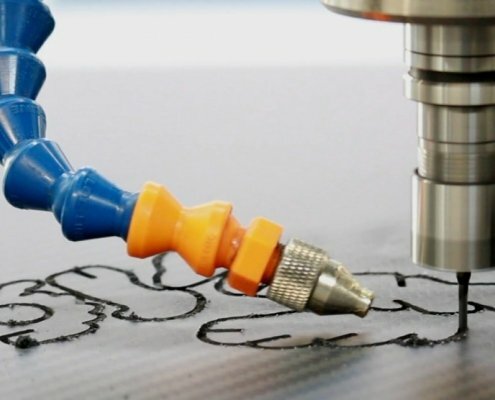 Quickly they draw the puzzle parts for an owl with the construction software Construcam-3d and cut them out on a High-Z router machine. 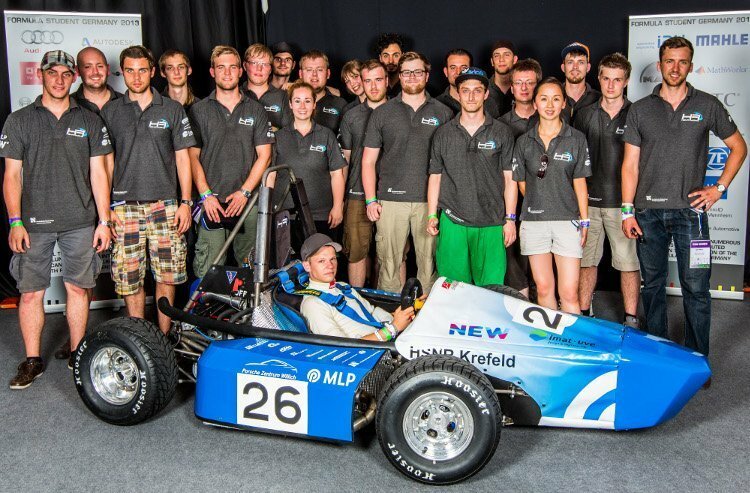 Miling out the CFRP parts with air cooling. 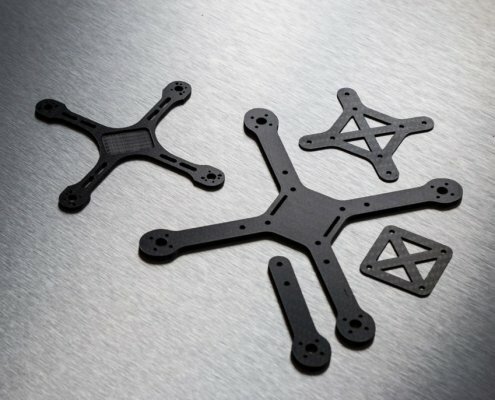 Puzzle parts milled in a carbon fiber sheet. 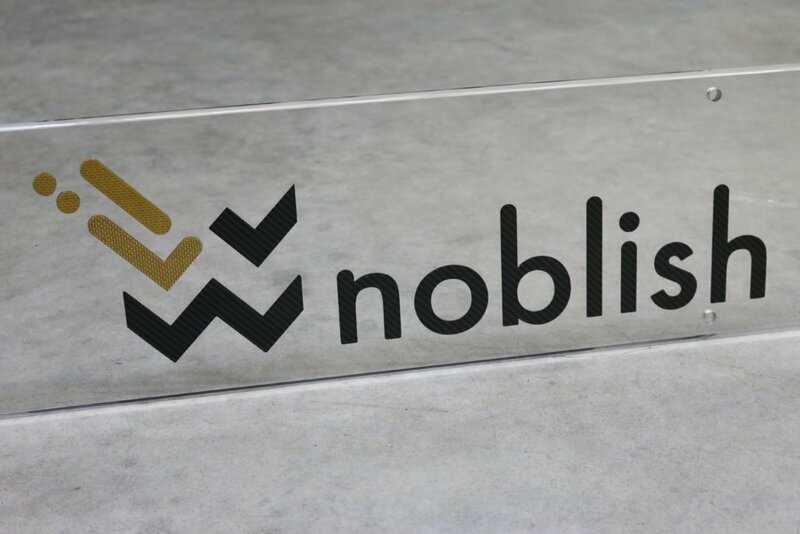 A CNC router can machine carbon cleaner, more precisely and more material saving than a manual tool such as a padsaw and a hand drill. 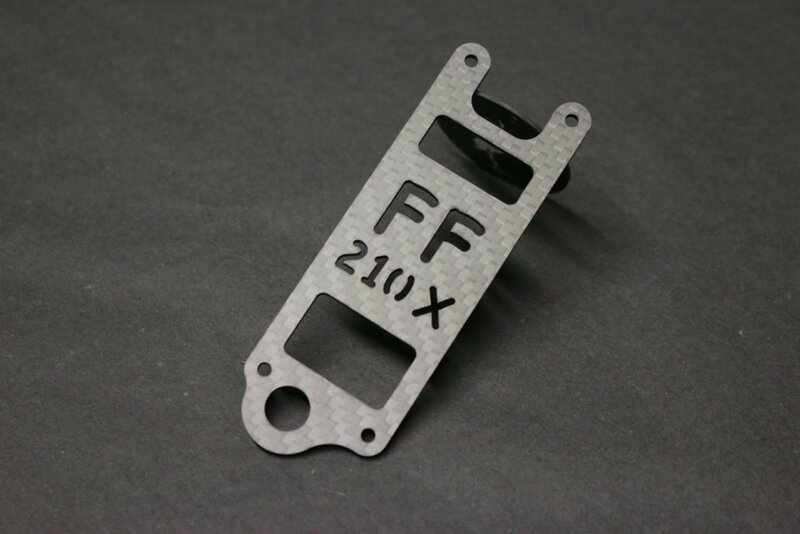 No matter if you manufacture carbon fiber part for functional use or as front panels for visual embellishment: Manufacturing carbon fiber parts every day you should buy a CNC machine because carbon is too expensive for material waste or bad results.